Discover easy-to-wear and easy-to-make clothing and accessories for all seasons in Simply Sewn. 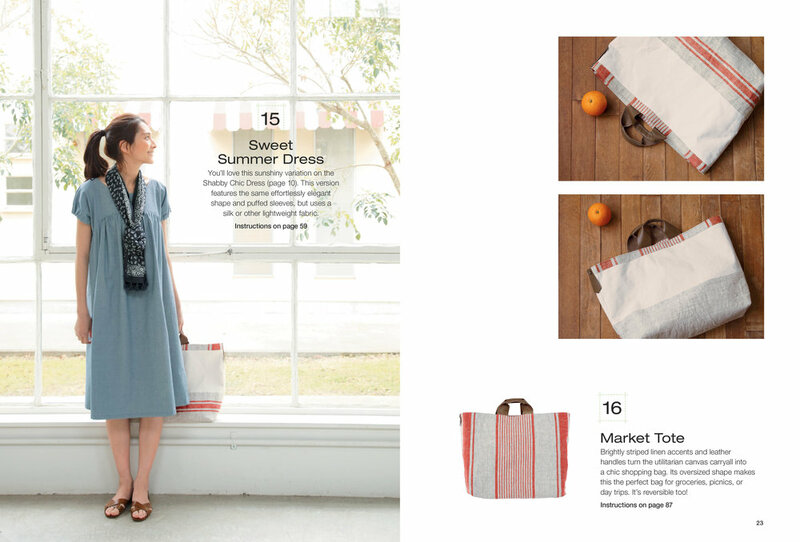 The 31 versatile, contemporary designs in this book include dresses, shirts, pants, and jackets that are comfortable and figure-friendly. Uncomplicated accessories, including scarfs, wraps, and bags, add even more options to the collection. The simple modern shapes found throughout allow for easy combinations to create a stylish everyday wardrobe. Numerous step-by-step photos and illustrations, as well as the full-size pattern pieces in a range of sizes, make this book perfect for sewists of all levels. Simply Sewn offers many ideas for wearing the garments year round. 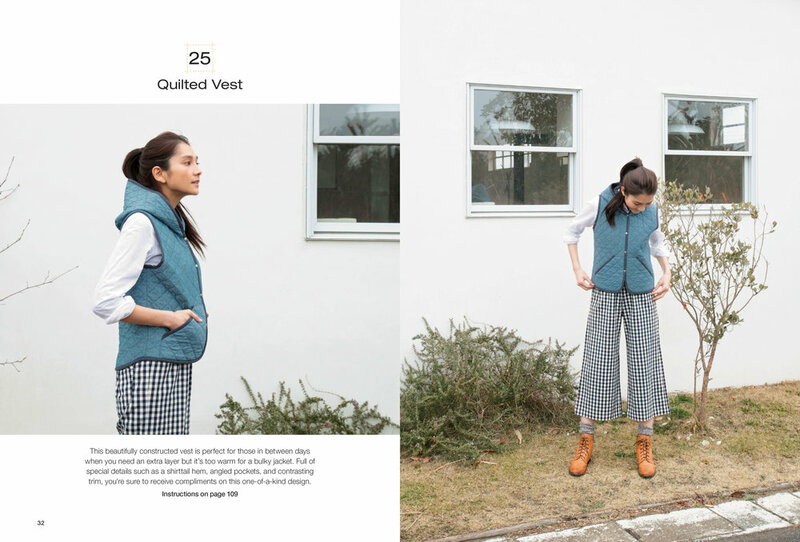 A summery sleeveless dress is transformed into a winter look when it is layered with a turtleneck or cozy shrug, and checked capris work into fall when topped with a warm vest. With a variety of pattern options and versatile styles, you’ll fill your wardrobe in no time with these easy-to-make-and-wear garments.